Extended wood brackets with a 6 inch projection for 2 1/4 inch wood curtain rod -- BasicQ Inc.
Extended wood curtain rod brackets 6 inch projection for 2 1/4 inch wooden curtain rod. 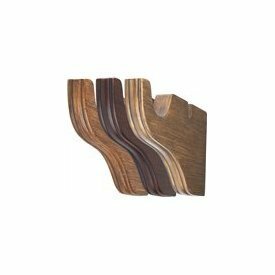 These wooden curtain rod brackets have a 5 1/2 inch return. Over all size is 5 1/2 inches high by 1 inch wide by 8 inches deep.Wood curtain rod brackets for the Renaissance collection.Material: Select HardwoodAvailability: Ships in 1 to 3 business days (In-stock), 5 business days (Custom) Priced and sold each.